If you've read my blog for a while (or follow me on Instagram), you'll know I'm a bit obsessed with liquid lipsticks. Matte lips have been one of my favourite makeup trends for so long now, and I'm always looking to try out new formulas. 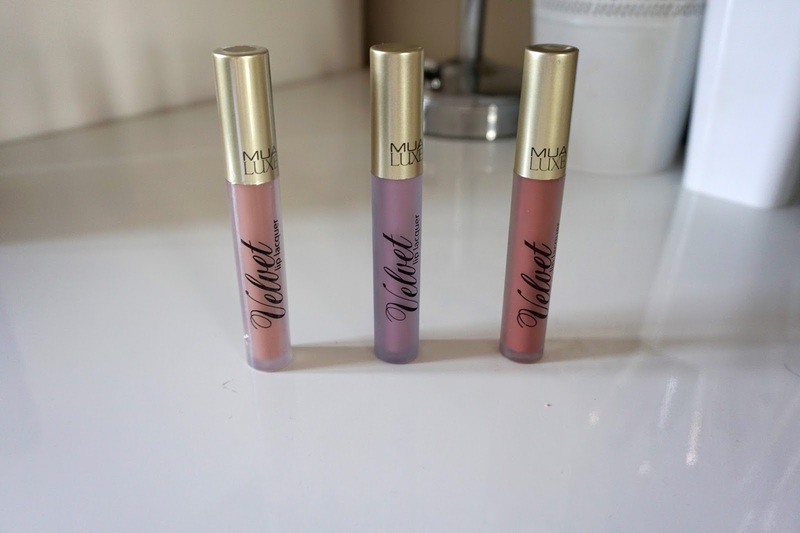 When I picked up one of the MUA Velvet Lip Lacquers in January, I never expected to love them as much as I did! I got the shade Tranquility, and it's the most beautiful deep peach shade. These liquid lipsticks are such a bargain at only £3, and I was so surprised with the amazing longevity of them. I wore Tranquility for the first time on a trip to Barcelona, and I wore it from home, on the plane, and to the hotel without re-applying and it stayed on perfectly! Pretty impressive as far as lip colours go. They don't dry out my lips too much, and don't crack on the lips at all - I do always recommend making sure your lips are exfoliated and hydrated before using any liquid lipsticks anyway. Plus the formula is super opaque, so you really only need one swipe to get a good colour. 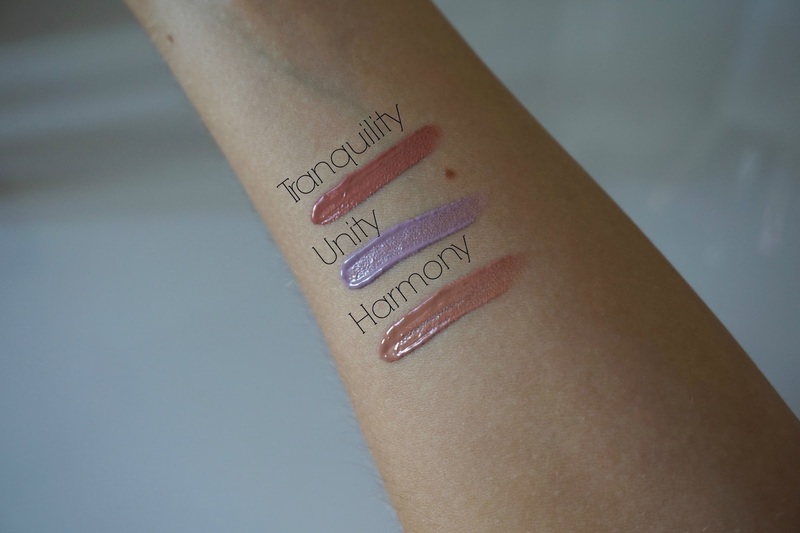 I just picked up 2 more shades: Unity and Harmony, so I thought I'd swatch them, along with Tranquility so you can see how beautiful the shades are. I also think the colours are so unique for a drugstore lip, especially Unity (a gorgeous grey toned lilac). As you can see, the shades are beautiful, and they also have a range of darker and bolder shades if they're more up your street! One thing I will mention is the scent is quite strong - it smells quite fresh and floral, which personally I don't mind, but some people may dislike it. I find it does go away after you've applied it though, so I wouldn't let it put you off! Plus, for £3, you can't really go wrong! Have you tried these liquid lipsticks? What are your favourite budget liquid lipsticks? Let me know in the comments!